Yogyakarta is one of the main tourist destinations in Indonesia. In addition to natural beauty, Yogyakarta has an amazing cultural wealth, like batik. Batik from Yogyakarta has a beautiful style so that is often used as souvenirs. Below are the places to buy batik in Yogyakarta. Beringharjo Market is easy to reach because it is located in the city center. That’s why this market is always crowded every day. You can find various types of batik on the first floor. There are many choices of models and patterns at affordable prices. Haggle is very important here. You are expected to bid and the seller will counter bid. As a practical tip, start to bid half of the initial price. Besides batik clothes, there are also batik bags, batik shoes and batik fabric. The price starts from Rp 25,000. 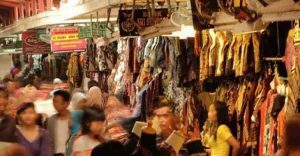 Beringharjo Market is located at Jenderal Ahmad Yani Street or Malioboro Street. Opening hours is 7 am – 5 pm. While you are at Beringharjo Market, take time to find must try local foods in Yogyakarta. Batik Hamzah, also known as Batik Mirota, is located across Beringharjo Market. 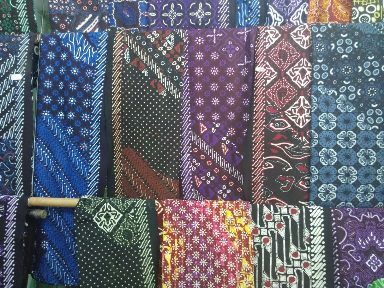 Here you will not only find batik clothes but also typical Yogyakarta souvenirs such as blangkon, kelom and wood handicrafts. 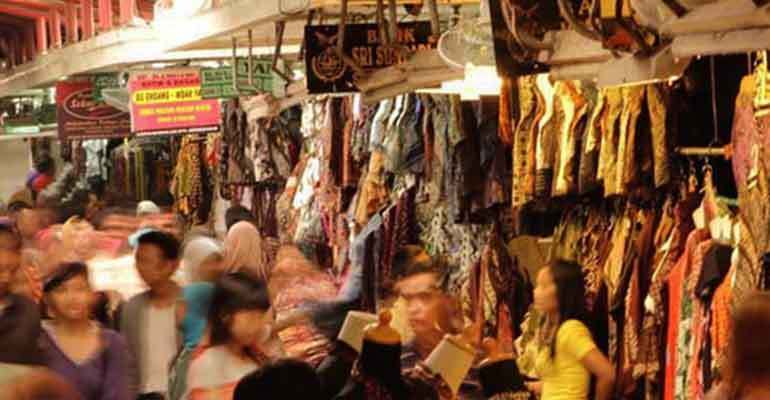 Unlike Beringharjo Market, Hamzah Batik does not allow you to bargain. The quality of the goods here is excellent because they have gone through strict quality checks. Batik Hamzah is located at Margo Mulyo Street, No. 9. Opening hours is 8 am – 9 pm. Imogiri, Bantul, is about an hour from the city center. Here you can get batik directly from the craftsmen. In addition to batik fabric, some craftsmen also sell batik clothes such as shirts, dresses, or blouses. The price starts from Rp 100,000. There are also craftsmen who provide tailors so that buyers can directly make clothes with batik fabric of their choice. Besides that, here you can also learn to make batik from the craftsmen. Batik Giriloyo is located at Imogiri TImur Street, Km. 14, Wukirsari, Imogiri, Bantul. Opening hours is 8 am – 5 pm. Pajangan, Bantul, is also about an hour from the city center. Here, you can find both stamped batik and written batik. Not only that, you can also see lively the process of making batik. All batik sold here is high quality. They are made through a careful process. Therefore you cannot bid here, but the seller will give you a discount. The price of batik starts from Rp 100,000. Batik Pajangan is located at Pajangan Street, Bantul. Opening hours is 8 am – 9 pm. There are many batik sellers here that are spread from the west side of the palace to the Plaza Ngasem. 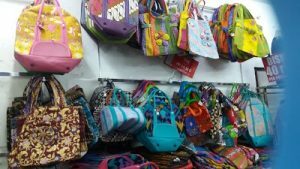 You can see a row of stores selling batik products ranging from clothes to bags. The quality of batik offered here is diverse, just like at Beringharjo Market. But the plus point here is you don’t have to jostle with other buyers. Patient, carefulness, and smart in bidding will determine your success in getting the desired batik. The price of batik starts from Rp. 35,000. Yogyakarta Palace Compound is located at Rotowijayan Street, Keraton Yogyakarta. Opening hours is 8 am – 9 pm. Find out what you can do at Yogyakarta Palace. The shop is located not far from the Yogyakarta Palace. Even though it’s only one floor, the shop is quite spacious. The batik sold here is high quality at a price that is still relatively affordable. 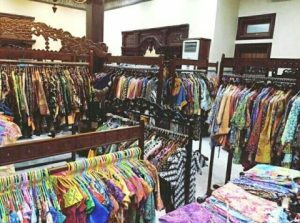 Batik Rumah sells various types of batik, starting from Rp 100,000. 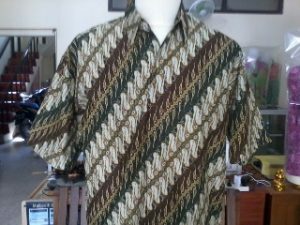 There are also batik shirts that are popular for souvenirs. Batik Rumah is located at Nogosari Lor Street, No.8, Kadipaten, Keraton Yogyakarta. Batik Rumah is open every day at 7 am – 9 pm. The Ngasem Village is one of the legendary places to hunt batik. The place has been the center of the batik industry since the 1970s. You can see a row of batik stores that are always crowded with buyers. It’s one of Yogyakarta shopping streets you must visit. It is said the price of batik in the Ngasem Village is cheaper than any other shops. You can also visit the batik factory to see lively the process of making batik. 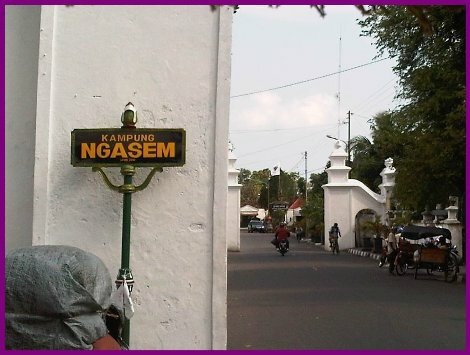 Ngasem Village is located west of Yogyakarta Palace. Batik is not only in the form of cloth. 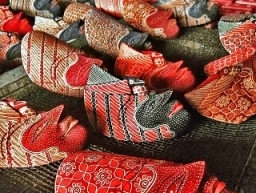 In the Krebet Village, you can buy various handicrafts made of batik wood, for example masks, wooden puppets, household accessories, wooden statues and jewelry boxes. The batik industry in Krebet Village began in the 1970s. Currently batik wood of Krebet Village has been exported to various countries. Batik wood is sold at Krebet Village, Senadangsari, Pajangan, Bantul Regency. If you want to buy batik in large quantities, come to this store. Batik Yudhistira sells batik in wholesale so the price is cheaper than other stores. Surely this is good news for those of you who have a lot of relatives or co-workers and are obligated by social pressure to give souvenirs. In addition to clothes, there are many accessories that you can buy. Batik Yudistira is located at Taman Siswa Street, No. 150 A., Wirogunan. Opening hours is 8 am – 9 pm. Batik Danar Hadi has a variety of batik collections with beautiful designs and good materials. Located in the Malioboro area, this store is always crowded with tourists. The store always has something for everyone. The prices of goods vary so that you do not need to break the bank. So the next time you are in Malioboro, make sure you stop by Batik Danar Hadi. By the way, take time as well to explore other things to do in Malioboro. 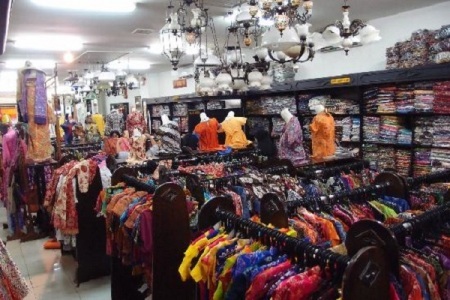 Batik Danar Hadi is located at Malioboro Street, No. 25, Sosromeduran, Gedong Tengen, Jogja. Opening hours is 9 am – 9 pm. 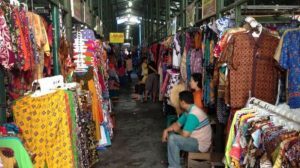 More places to buy batik in Yogyakarta. 11. Batik Rianty at Malioboro Street, No. 79, Sosromeduren, Jogja. 12. Batik Keris at Malioboro Street. 13. Batik Kencana Ungu at Malioboro Street. 14. Batik Winotosastro at Tirtodipuran Street, No. 54, Mantrijeron. 15. Batik Murah Yogyakarta at Wongsodirjan Street, Sosromenduran, Gedong Tengen. 16. Batik Wisnu at Ibu Ruswo Street, No. 14, Prawirodirjan, Gondomanan. All right, those are the places to buy batik in Yogyakarta. Remember, don’t hesitate to bid. After all, you have nothing to lose.